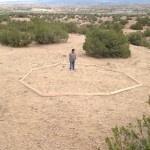 The Geometry becomes like a spider web reminding us of the Grandmother Spider stories. 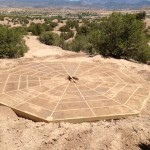 The Spider Woman or Grandmother Spider legends are part of the creation mythology for several southwestern American Indian tribes, including the Hopi, Pueblo, and Navajo. 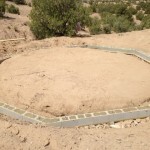 One story says that in the beginning of time only two beings existed: Tawa, the Sun God, with the powers of all that is above; and Spider Woman, the Earth Goddess, with the powers of all that is below. 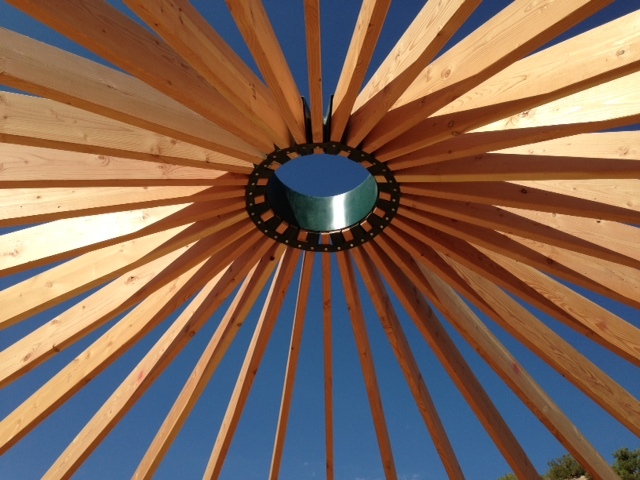 The Sun God imagined the creatures of the earth, and Spider Woman turned these thoughts into living plants, animals, and people. 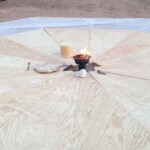 She attached a thread of her spider silk to each person to provide access to her wisdom and protection . 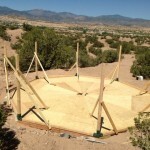 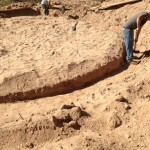 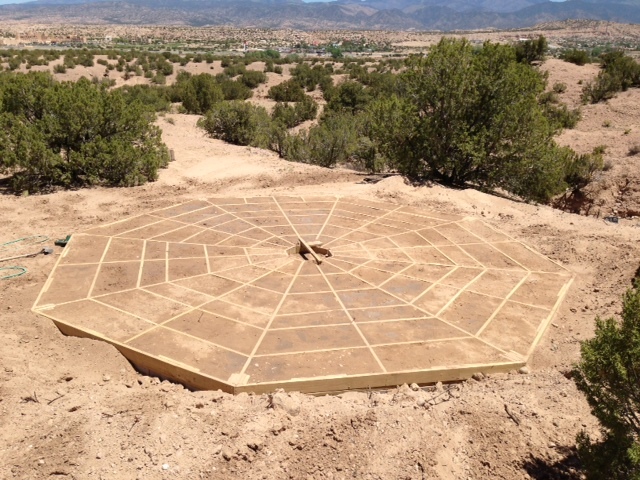 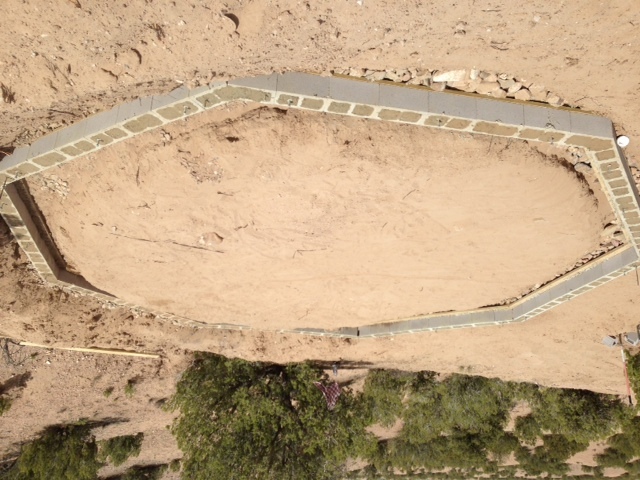 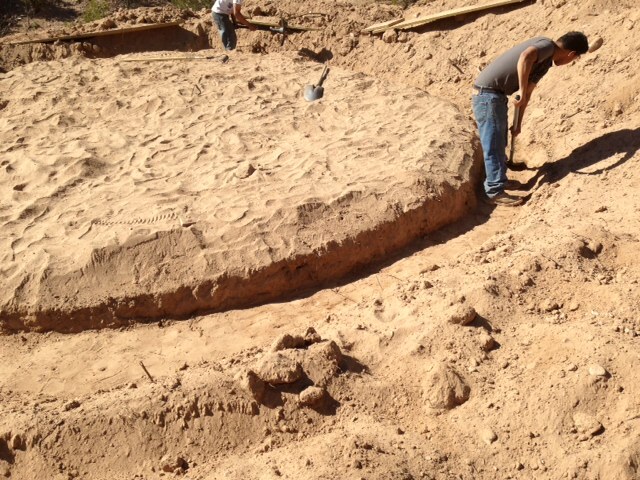 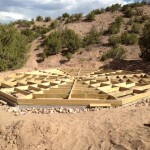 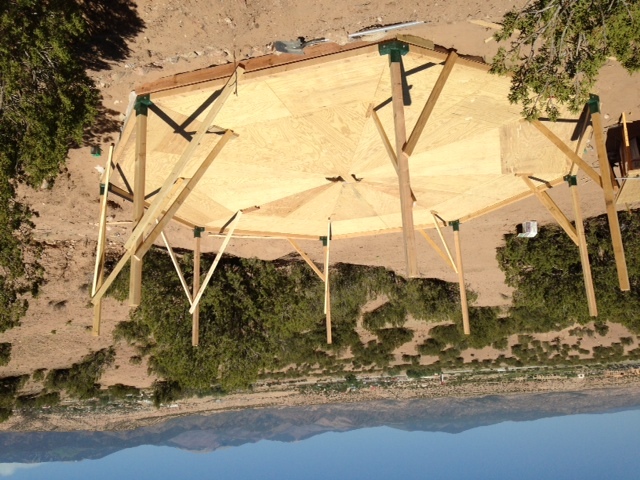 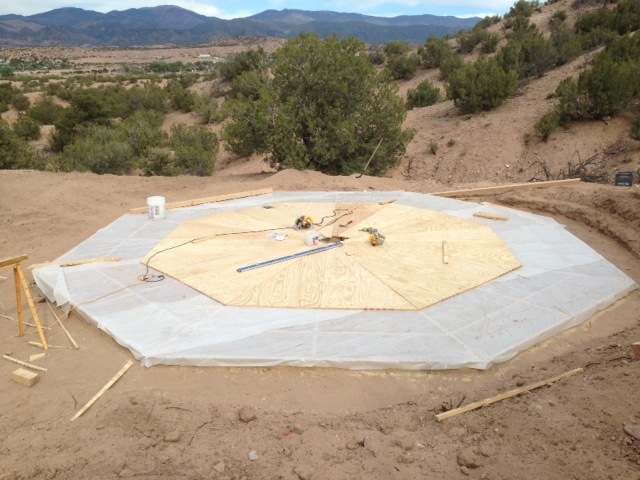 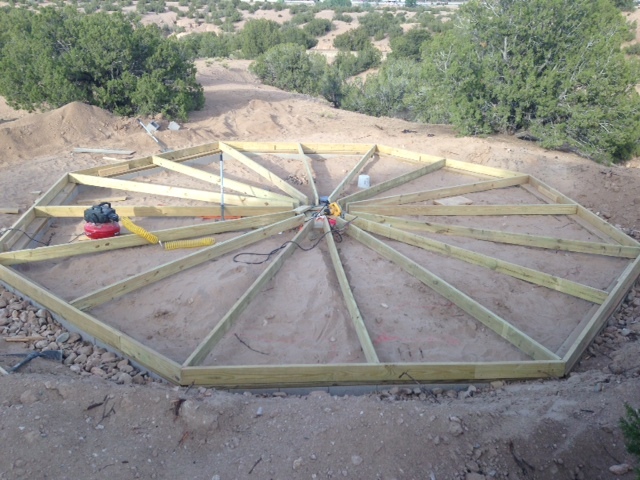 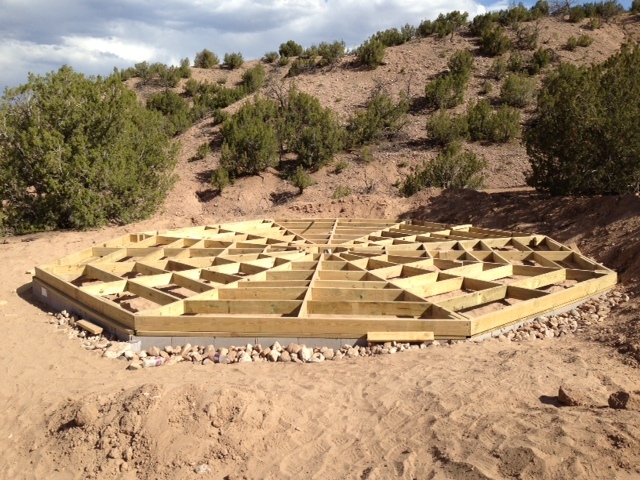 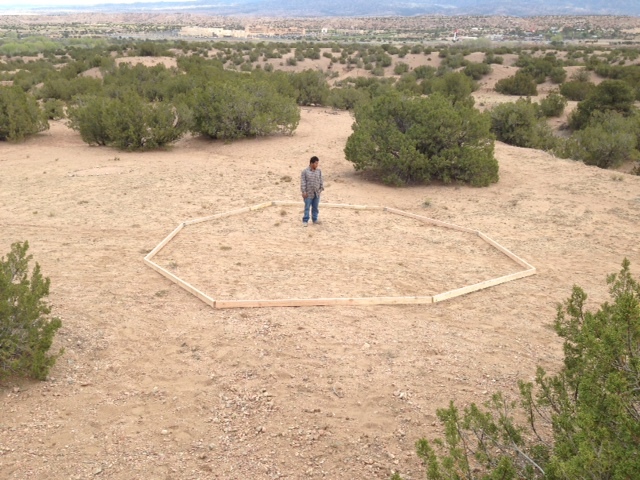 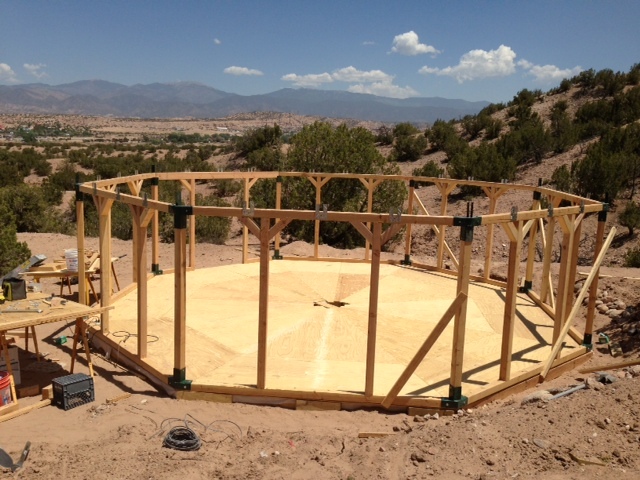 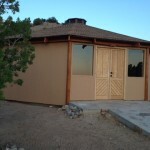 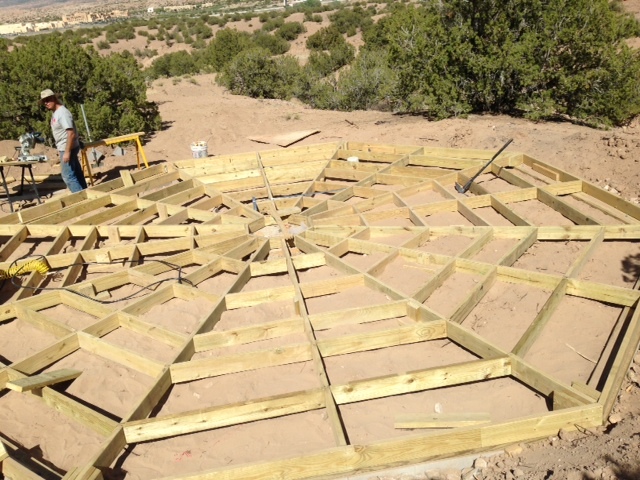 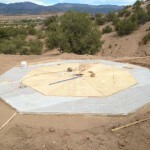 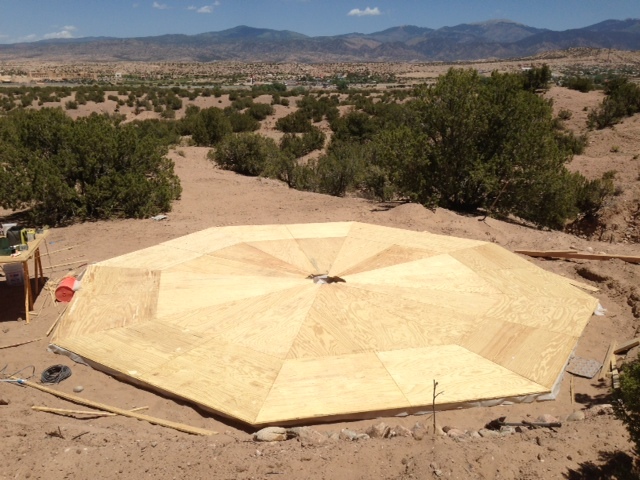 Backfill to eliminate home for critters – it’s a New Mexico thing. 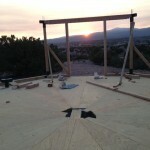 Aligning the doorway to the Summer Solstice sunrise. 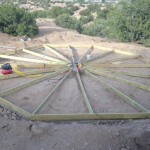 Uprights installed with wall rim in place. 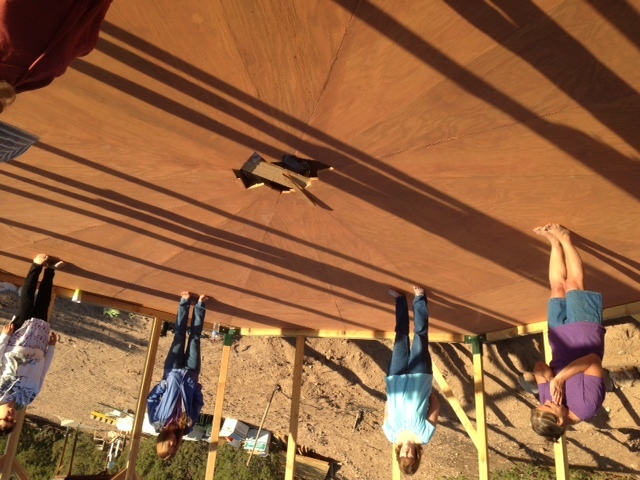 At this point, we needed to stop contstruction becaise the participants for the “Initiatory Training Workshop” had arrived. 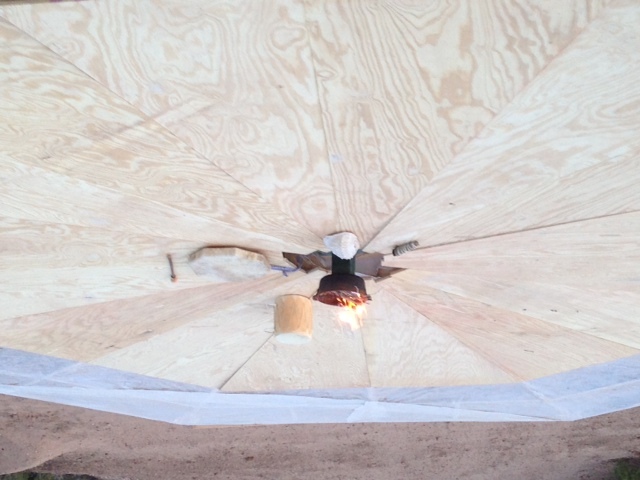 This provided a welcome place for those who wanted to participate in some morning yoga. 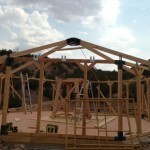 Now for the big project of raising the roof. 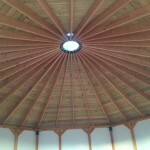 Additional roof rafters added to secure center ring. 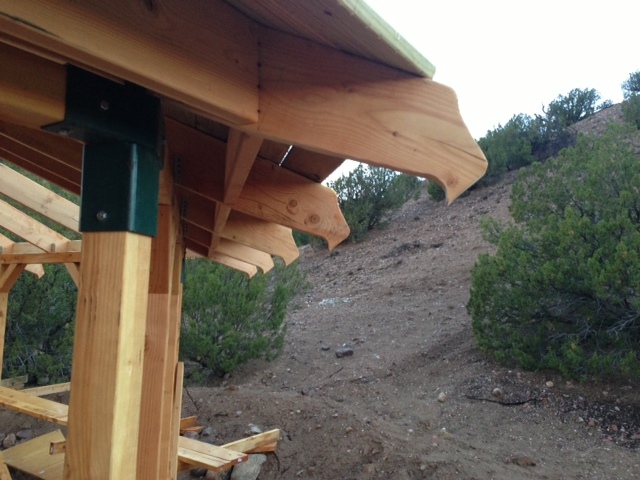 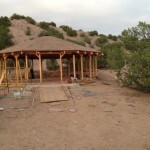 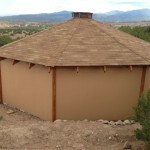 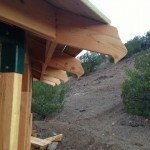 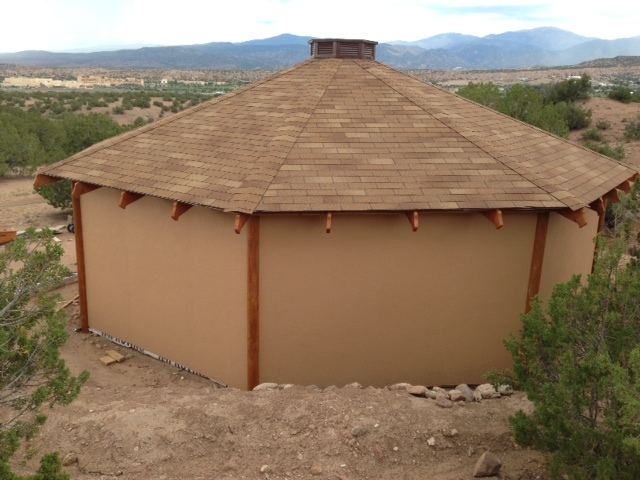 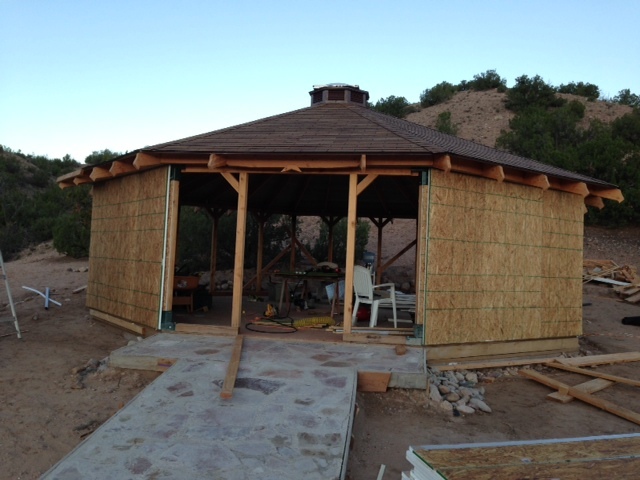 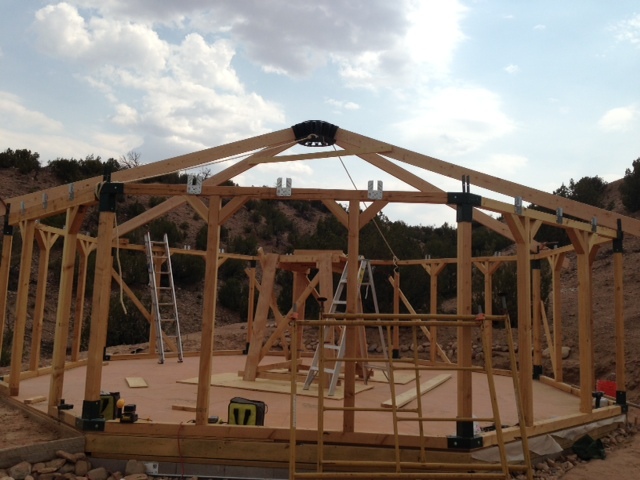 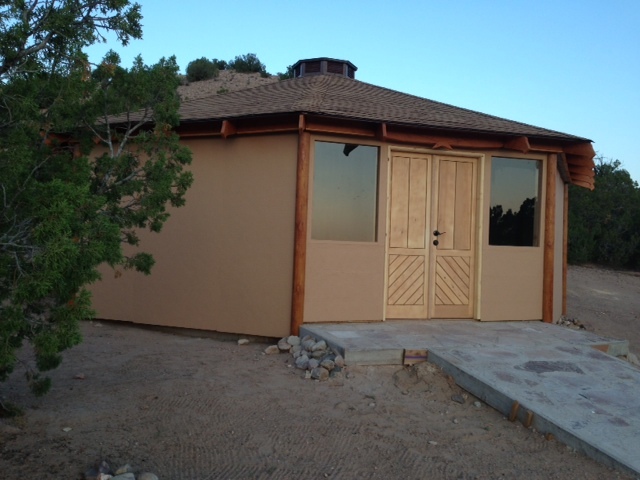 Roof singles installed – we selected a color to blend with the environment. 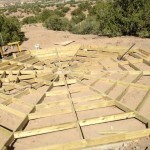 Here you also see the beginning of a entry ramp. 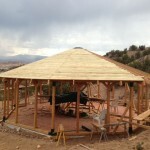 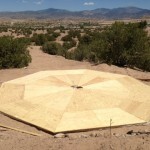 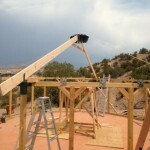 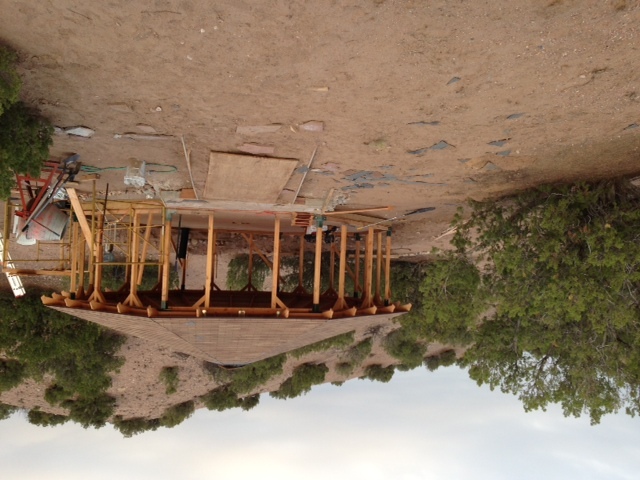 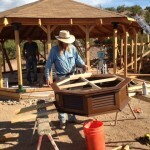 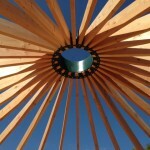 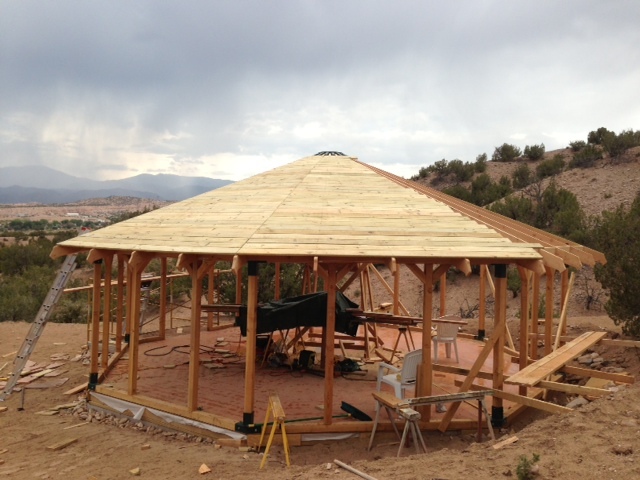 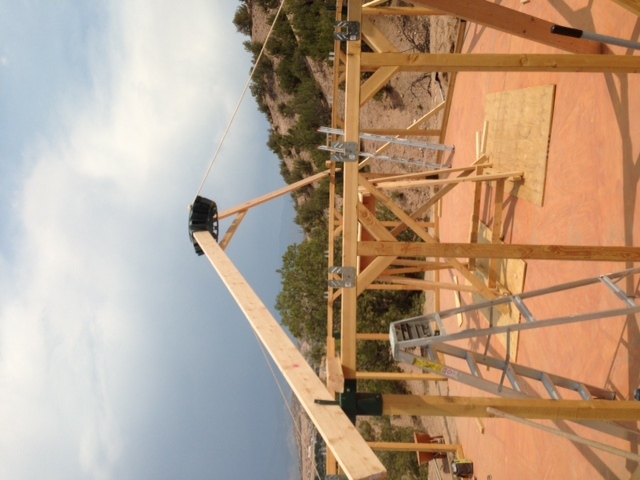 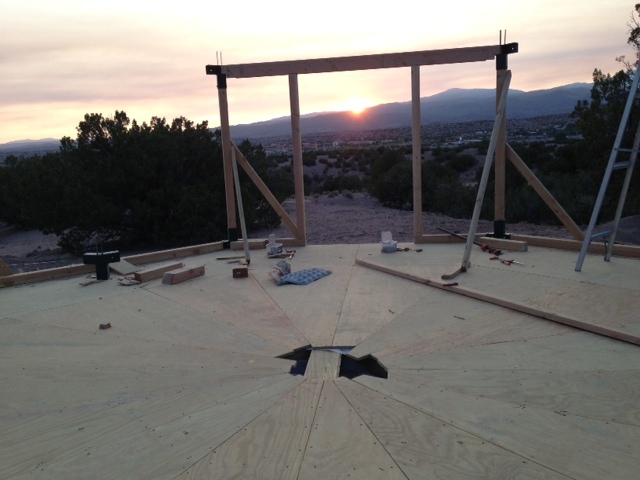 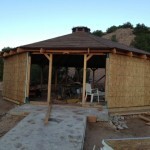 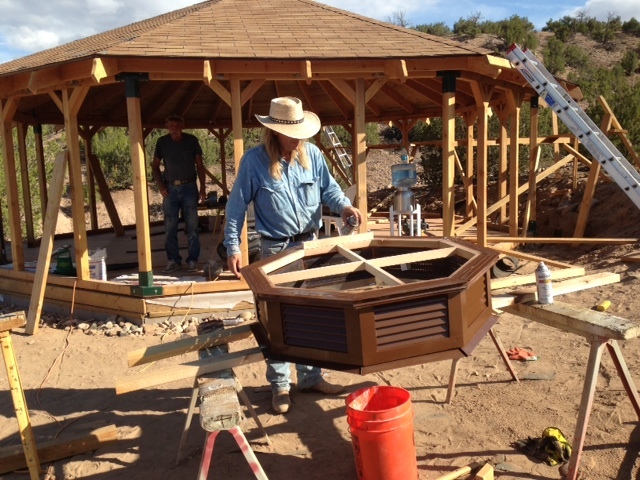 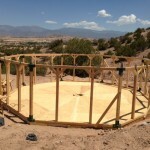 Building a custom cupola and skylight. 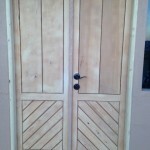 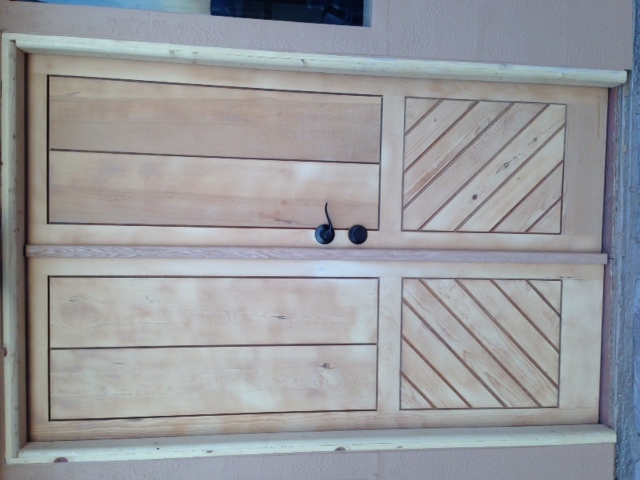 I went to Habit for Humanity and bought louvered clost doors – cut into eight equal sections to create vented sides. 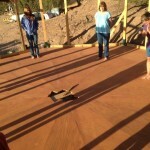 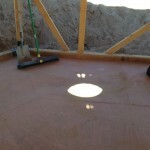 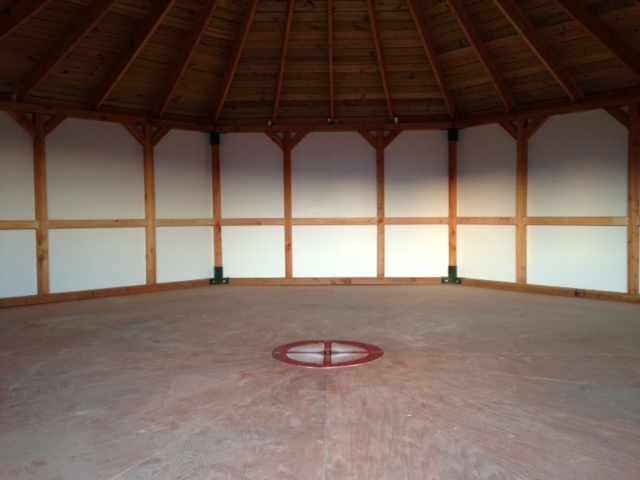 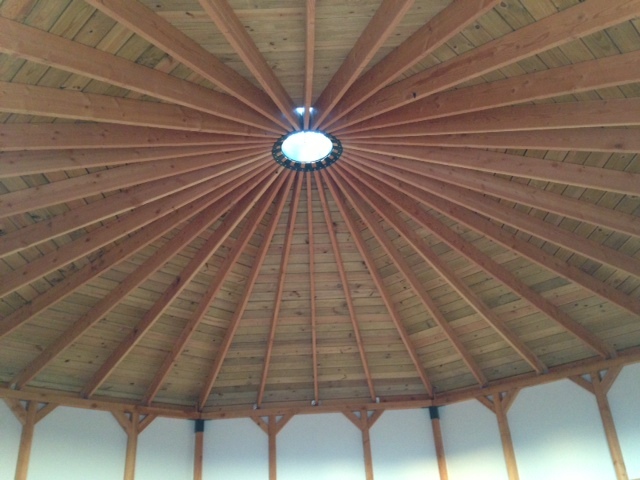 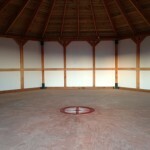 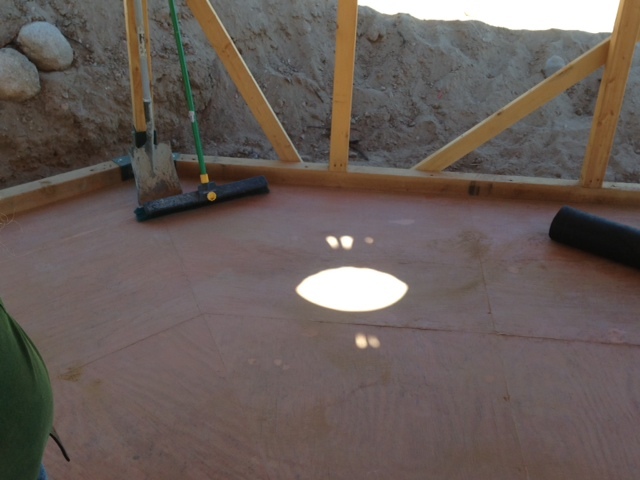 Once the cupola was installed we noticed the “Eye of the Thunderbird” reflected on the floor.